Kris Ferraro is an International Energy Coach, Teacher, and Speaker. Leaving a lengthy career as a social service counselor, Kris empowers others by teaching them the wonders of energy healing. She frequently speaks to diverse groups on how purpose, love, faith, and balanced energy addresses the aggravated stress caused by our current climate of constant uncertainty. Kris is the creator of Spiritual Freedom Techniques, a series of processes that combine spiritual practices and principles with energy balancing for super charged transformation. A former punk rocker, radio DJ, and performance artist, it was in healing her severe social anxiety that she was finally able to shine. In addition to writing and creating curriculum on healing, she writes and performs spoken word poetry and is a talented sculptor. She lives in Montclair, NJ, with her cats Ling and The Baby Cheetah. "Kris Ferraro's new book, Energy Healing is a true gift! She leads the reader through an understanding of what energy is, how it works in the body, and how to heal a myriad of issues in your life with simple, easy to follow practices. Hers is a voice of compassion, encouragement, joy and wonder. I can't think of a better guide through this field. The book is full of wonderful and simple ways to get your energy working for you, and why it matters. You couldn't find a better way to start or deepen your understanding of energy than to pick up this book." —Lauren Walker, International Yoga Teacher, Creator of EMYoga, author of Energy Medicine Yoga and The Energy Medicine Yoga Prescription. 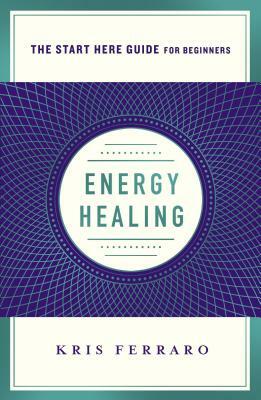 "Kris Ferraro has given us a most helpful book for those interested in learning about energy healing. She presents the theory and practices in a way that new comers to the field can easily benefit for it is one of the most comprehensive and easy to use guides for beginners I have seen. I highly recommend it." "I wish I had this book when I was struggling to make sense of this world as a highly sensitive twenty three year old and my life was an unmanageable hot mess! Kris takes concepts that took me years to master and makes them readily accessible. She breaks everything down with clear, concise explanations and then offers simple DOABLE actions so anyone with a few minutes of time and willingness to experiment can try them. Even after more than three decades exploring many forms of energy healing, I still found valuable gems on nearly every page. Kris breathes new life into some of my go-to techniques providing a fresh perspective for this seasoned professional. Whether you are just considering this book as a possible next step on your path, or are an experienced practitioner, Energy Healing will be a must have resource guide for your library. Don’t be fooled by the brevity of this volume. Kris delivers information with a precision that distills each topic and tool to its purest form. I have no doubt my copy will become a dog-eared favorite and a frequent gift for my clients and loved ones."